There are various logging mechanisms in SharePoint and available for web applications that can help in debugging a particular issue. In general, we request any or all of the following logs. By submitting these along with your initial support request, we will be able to address your issue even faster. Reproduce your issue. This will ensure that the most recently written logs will contain any information about the problem. Submit the most recent log files. Navigate to the LOGS folder and, using the last modified dates listed in your Windows Explorer, find the most recently created logs. Attach the two most recently created log files to your ticket. If you have more than one server in your farm, make sure to retrieve the log files from the web front end that was used by the client for the requests. Log files will be in the format: servername-YYYYMMDD-TTTT.log. If you do not see any log files, please click here for directions on how to enable ULS logging on your server. Download and install Fiddler. It can be found at http://www.fiddler2.com/fiddler2/. Clear your browser cache. Your browser caches files that do not change between releases. 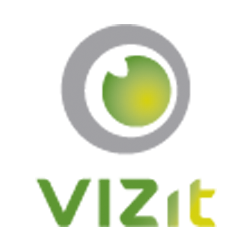 By clearing your cache before capturing a Fiddler log, we will be able to see if all the appropriate files are being loaded for Vizit to work properly. Run Fiddler and reproduce the problem. Run Fiddler on the client machine then open an Internet Explorer browser window. Reproduce the problem with Fiddler capturing HTTP(S) traffic in the background. Save your log. In Fiddler, click File > Save > All Sessions... Place the file where you'll remember to find it (your Desktop is a good place to start). Attach it to your ticket. Attach the resulting SAZ file to your ticket. Open IE Developer Tools. With your browser open to the page that displayed the issue, press the F12 key on your keyboard. This will launch IE Developer Tools. Script > Console. Choose the Script tab from the top of the window and note the Console section on the right. Reload and reproduce. Reload the browser window where the issue occurred and, with the Console open, reproduce the issue. Copy any errors you see in the Console pane into your support ticket. Open IE Developer Tools. Use the same process described above for launching the IE Developer Tools in Internet Explorer. Reload and Start Debugging. In the Script tab, click the Start Debugging button. The page may automatically reload, but if it does not, reload the browser window where the issue occurred. Grab the Stack. Follow any necessary steps to reproduce the issue. Now, in addition to any errors appearing in the Console pane, the code will stop at the point of the failure. When this happens, switch from the Console to the Call Stack pan. Take a screenshot and attach it to your support ticket.